Just around the corner from Piedmont Avenue, we offer lots of opportunities to get involved and have an adventure. Life can be delicious if you’re living in the right place. Our executive chef and her talented culinary team are dedicated to making life for our residents downright mouthwatering. We invite you to see for yourself. Living well means more than great dining and the attractions of our North Oakland neighborhood. 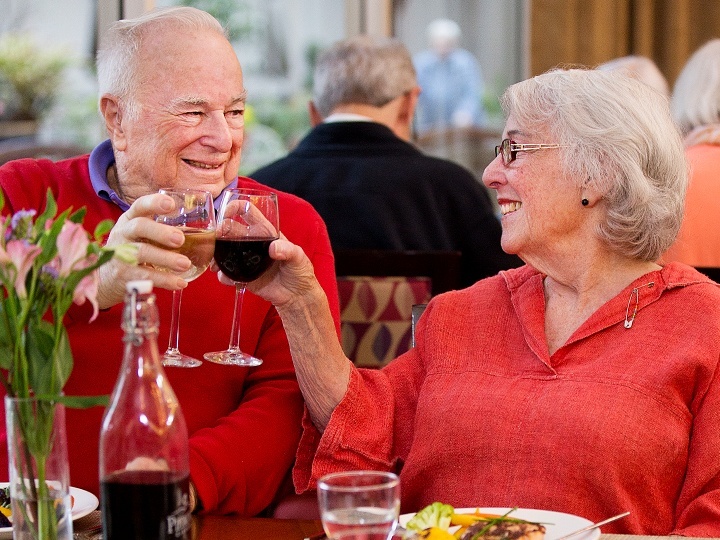 As part of the Masterpiece Living® successful aging initiative, we offer programs and resources that focus on intellectual stimulation, physical fitness, spiritual connectedness and social engagement. Leave the maintenance and household tasks to us. Enjoy getting involved in choir, drama club, art classes or other resident-driven activities happening daily on our campus. North Oakland living in the heart of the Bay Area, with fine arts, live theater and much more nearby. Spend the day exploring eclectic shops and restaurants. Take in a movie. Linger in the used bookstores. Classic sundaes, burgers and fries and a heritage that dates back to 1894! Steps from our front door, this movie house screens new releases, independents and foreign films. Designed by famed landscape architect Frederick Law Olmstead. Lots of famous California names buried here (Ghirardelli, Crocker, Bechtel).